Tired of Sending Marketing Emails That Go in the “Trash”? Email is a very effective marketing tool. However, it’s also tough to execute properly. If you don’t plan correctly, understand what you’re doing wrong and how to remedy this, you’re simply wasting your time and money. You aren’t getting new subscribers. If you can’t entice new subscribers, you are simply spinning your wheels. Without an ever-increasing pool of subscribers, your open rates will suffer. If you want to grow your email list, you must clearly state the benefits of subscribing to it. Clearly state what you can offer, and how you can address people’s concerns. Your prospects need to know why they should sign on. Consider offering something for free that you believe will be of value to them like a free trial, sample product or document with relevant information. The best way to ensure that your current subscribers stay with you is by sending out relevant emails to the right audience. You must correctly identify your target audiences and segment your email list accordingly – this way you can address the various pain points for different subscribers. By segmenting your list, you can not only retain more subscribers but increase your click-through rates as well. All too often, an email strategy is more focused on the company’s needs rather than the customers’. Receiving too many irrelevant emails is the main reason subscribers opt out. If you want to keep subscribers, stay focused on your target audience and their needs, rather than yours. Your email subject lines aren’t eye-catching. This is one of the biggest challenges you’ll face. People are overwhelmed with the amount of email they receive and will only open the messages that catch their eye. You must grab their attention in the subject line. Craft a message that is short and to the point. Personalizing the message in your subject line and keeping your message to fewer than 30 characters should help. A carefully written subject line will entice recipients to read the rest of your email. Performance always suffers when resources are limited. If you’re understaffed and “burning the midnight oil” just to stay afloat, your quality will suffer. Streamline your email process and look for bottlenecks and obstacles that slow your workflow. Take advantage of software automation tools that help your email team design and code emails more quickly. If necessary, you may need to hire more staffers, both full-time and part-time, or contract with freelancers. Freelancers can also offer expertise that your team may lack. You may have the best emails and subject lines, but if they are being sent to the junk inbox, you’re doomed to failure. Your emails must get through any spam filters. When your deliverability rate suffers, you can get blocked altogether by Internet Service Providers (ISPs). How do you fix this? Don’t use spam words in your subject lines. Phrases such as “make money,” “earn cash,” “save $” will go directly to spam mail. And, of course, ensure that your prospects’ email addresses are accurate. Consider asking people who visit your website to re-confirm their email address when signing on to your list. This way you can make sure you have their correct email address from the start. You need a new ESP. You need an Email Service Provider that works for you. Some focus more on larger enterprises or certain verticals like e-commerce. You need an ESP that fits your brand. Try using more than one to see if this is the problem. Measure your success rates with each one. You can employ analytics tracking with multiple ESPs. Some businesses use up to four different ones to increase the odds that their emails will be delivered. Use the ones that provide you the best rates for delivery. You need to cull your list. You may need to remove contacts that have been inactive for a long time or those who never open your emails or go to your website. If you know that a lot of the emails on your list are no longer active, delete them. They just cost you money. You must maintain your list. You can also do this by letting subscribers manage their preferences (to opt-out if they want). Set up a way for them to change their communication preferences like what kind of information they want to receive or how often they want to receive them. This helps to build the sense of trust that they require to stay with you. Your team is sabotaging your efforts. You may be doing everything right, but other departments aren’t. If customer service is lacking, you’re sure to lose subscribers. If your website or mobile application isn’t easy to use, subscribers will get frustrated and go to a competitor. Keeping customers happy requires teamwork. Get together regularly with other departments in your company to share experiences, concerns, successes, and insights. Ensure your team members are onboard with your email strategy, measure your results and work together to fix what’s broken. Set up read-only access to your marketing emails for team members so they’re kept apprised. Everyone must be on the same page and working in unison. You’re not measuring results and adjusting your strategy accordingly. 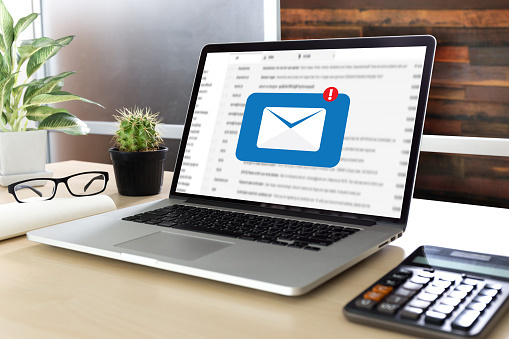 Measuring the performance of email campaigns is imperative. Unless you know what works and what doesn’t, you’re leaving money on the table. Implement a closed-loop marketing strategy to achieve the results you’re looking for. This means following a subscriber from the initial point of contact to their conversion as a paying customer. Be sure to leverage the available data from your ESP and feed your data back to them to get more visibility into your results. When making adjustments based on data, do so in increments and prioritize your changes. This way you can continue to measure the results of your changes one by one until you get it right. You aren’t using the right process. Not having a plan will make your job so much more difficult. Your email process should be designed to speed up your email production and improve quality control. You need an extensive pre-sending plan. Here’s one to go by. You fill in the blanks according to your goals. Goal setting is crucial to your email marketing success. It will help to guide the direction of your campaign, make it easier for you to measure results, and increase the odds that you’ll ultimately succeed in the end.